F rom prophylaxis to dentures: We offer the entire range of modern dentistry to keep your teeth healthy and beautiful throughout your entire life. You can get an overview of the different kinds of treatments below, but we are likewise always available for any questions. Simply make an appointment and we will advise you in a personal consultation. Our team has special training in the field of dental aesthetics to assure that every customer can achive an aesthetically perfect result. Ceramic is a proven high quality material for fillings and dental restorations. It is biologically well tolerated and offers perfectly natural looking results. A unique feature of the method is the possibility of producing dental restorations made ? ?to measure and fitted directly on the patient. 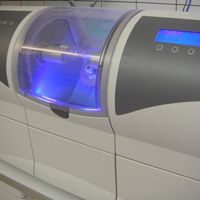 Thus, using the CEREC 3D method all-ceramic fillings and crowns are made directly in the dental office, without imprint and transitional prosthesis - all in just one session! This method is also very popular with patients who want to replace old amalgam fillings in biocompatible and hypoallergenic way. 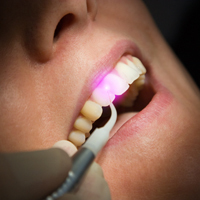 Modern laser allow for many treatments on teeth, gums and soft tissues of the oral cavity perform in an especially gentle way. 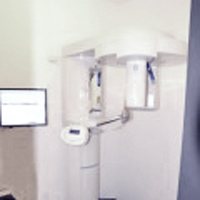 The digital X-ray prodecure used in our practice has replaced the analog X-ray to the largest extent. With this improved method, the patient is exposed to much less X-ray radiation. X-ray images are better evaluated and are easier to store and transport (on CD-Rom or USB stick), so that any patient doesn't have to be x-rayed more often than necessary. This profesional dental cleaning for children and adults is a preventive measure and is performed by a specially trained dental hygienist. 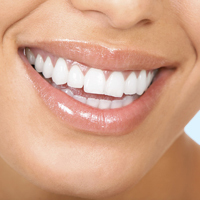 Prophylaxis will help prevent diseases of the teeth and periodontium. If necessary, a salt-ray deviceis used to gently remove strongly adhering discolouration. It alsu entails among other things, oral hygiene instructions for home use. 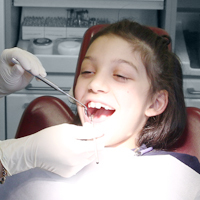 Let us advice you and prepare an individual prohylaxis cleaning program for you. Implantology has become indispensable in modern dentistry and includes the creation of artificial tooth roots made ? ?of biocompatible materials. Are you missing a tooth? 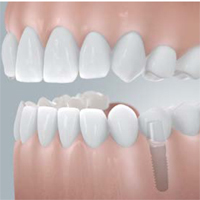 Protect the teeth adjacent to the gap with an implant. Do you want to avoid a removable prosthesis? 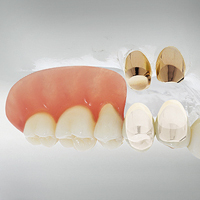 Implants serve as pillars for fixed prosthesis. Or do your dentures no longer fit properly, possibly due to bone loss? Implants will make sure that your dentures are held in place securely so you can again eat heartily. No involuntary loosening or moving of your prosthesis any more! Talk to us, we will help you! With modern endodontics (root canal treatment), inflammations of the teeth nerves and the bony root tip area can be treated promptly and effectively. 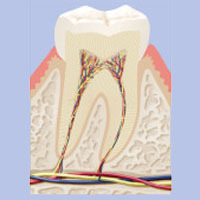 Modern endodontics (root canal treatment) is used for the preservation of the tooth, after an irreversible inflammation of the tooth's nerve. If desired a laser can be used for a particularly gentle treatment for these problems. In case the inflammation is too advanced to apply sufficient treatment to the root canal, we can refer you to an expert in this field surgeory. The aim of parodontology is the prevention and treatment of periodontal diseases and their after care. An inflammation of the periodontal apparatus is referred to as periodontitis, the most common disease of the tooth-supporting tissues. Periodontitis and gingivitis are caused by bacterial plaque and if left untreated, these periodontal diseases lead to long-term bone erosion. Gingivitis caused by the periodontal pockets, caused by the inflammatory swelling of the gingiva. 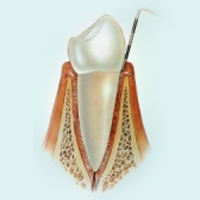 Tasks of parodontology are prevention and treatment of periodontal diseases and their cure. 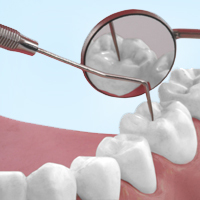 There are various methods in which we work where appropriate with our oral surgeons. On request, we use the latest laser techniques, their effectiveness and healing for the patient are comfortable. Telescopes or double crowns are aesthetic and functional connecting elements in combination with removable dentures, that are used if there is a loss of a large number of teeth. Partial and full dentures are used to substitute all or a large number of teeth, so that the chewing function, phonetics, and the outward appearance can be restored. Partial dentures can be fixed on the remaining teeth with the aid of braces or even better with telescopes (in combination with crowns). We are always working together with competent and highly qualified dental technicians, who are always available to help with your consultation and treatment. 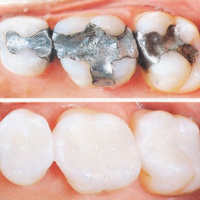 You want to remove your existing amalgam fillings? 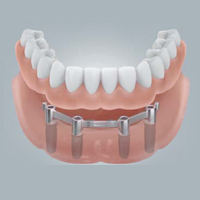 We can offer you the most gentle and careful method for this (using a rubber dam). Pediatric dentistry (dental care for children) requires empathy and patience and begins in early childhood, before and during the first dentition.